The Capital Region (and beyond!) 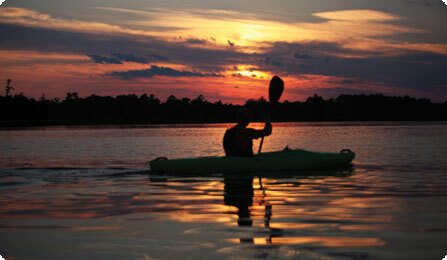 offers you enough things to do and see that you could easily spend a lifetime here. Antiques, skiing, hiking, wildlife, covered bridges, canoeing, art galleries, book stores, museums, historic sites, walking tours, presidential history, farms, orchards, birding, golf, country fairs, community suppers, youth activities and four beautiful seasons are part of the many features that enhance the quality of life in the area. 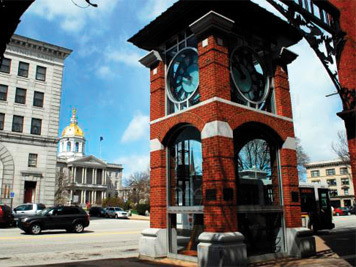 The successful revitalization of Concord's Main Street into an active hub of community activities, commerce, politics and entertainment was the result of mutual support by the city, businesses and the community. One of the historical gems along Main Street is a State House crowned by a gleaming gold, eagle-topped dome which can't be missed by motorists passing through on I-93. Contact the NH State House Visitor Center to arrange for a guided tour full of New Hampshire historical and political intrigue, or just stop by. The NH State House celebrates its bicentennial in 2019 and you're invited to be part of the festivities! Capitol Center for the Arts continues to enjoy tremendous success as a venue for nationally and internationally acclaimed performers as well as local performers. Other popular destinations for live entertainment include Concord City Auditorium and Hatbox Theatre. Concord is proud to be home to the Concord Community Music School, the largest community music school north of Boston, and Symphony NH, the oldest professional orchestra in New Hampshire. Both put on world-class performances. Our thriving arts community features Art on Main which includes Concord's permanent public art collection and the City's First Annual Outdoor Sculpture Exhibition showcasing area artists, the Concord Arts Market, The Crumpacker Gallery at St. Paul's School, Kimball-Jenkins Estate and Art School, the League of N.H. Craftsmen Concord Gallery, The New Hampshire State House Art Collection, The Place Studio & Gallery and the Currier Museum of Art in nearby Manchester. Other popular destination points include the NH Historical Society, Pierce Manse, Mary Baker Eddy Historic House - Longyear Museum, New Hampshire Audubon, McAuliffe-Shepard Discovery Center, New Hampshire State Library, New Hampshire State Veterans Cemetery, Canterbury Shaker Village, Mt. Kearsarge Indian Museum and The Nature Discovery Center (just across the way from the Mt. Kearsarge Indian Museum in Warner!) all of which are not mere attractions but learning experiences. The McAuliffe-Shepard Discovery Center was recently named one of the top family trip destinations in New England by Yankee Magazine. Yankee also named Red River Theatres as one of the Top Five Cinemas in New England. Reader's Digest voted The Susan N. McLane Audubon Center a "Best free tourist destination in N.H." And if you plan your trip during the right weekend in July, you can watch the world's best drivers compete at New Hampshire Motor Speedway during NH's annual NASCAR race before heading over to the nearby North East Motor Sports Museum. 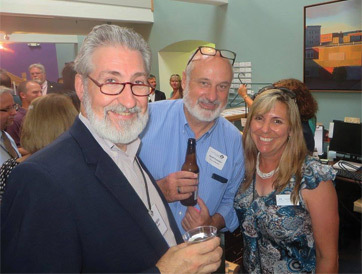 Stop in at the Chamber Visitor Center to browse information racks and see the newest exhibits by the New Hampshire Art Association and NH Furniture Masters. The Gallery at League of NH Craftsmen Headquarters is just a few steps from our door! We also have information for our members in the Lakes, White Mountains and Great North Woods regions of New Hampshire. Download this list of lots of area attractions and THINGS TO DO in Concord and beyond!